How do you know what skin type you have? Wash your face with a gentle (non-mediated, non-drying) cleanser and pat dry. Wait an hour. During this time, your skin should return to its "natural" state. Dab your t-zone (the middle of your forehead, the area between your eyebrows and your nose) with a clean soft paper tissue. Normal skin: The tissue is clean without any traces of oil or flaky skin. Oily skin: The tissue has some visible oily spots on the tissue. Dry skin: The tissue has some see some flakes of dead skin cells. 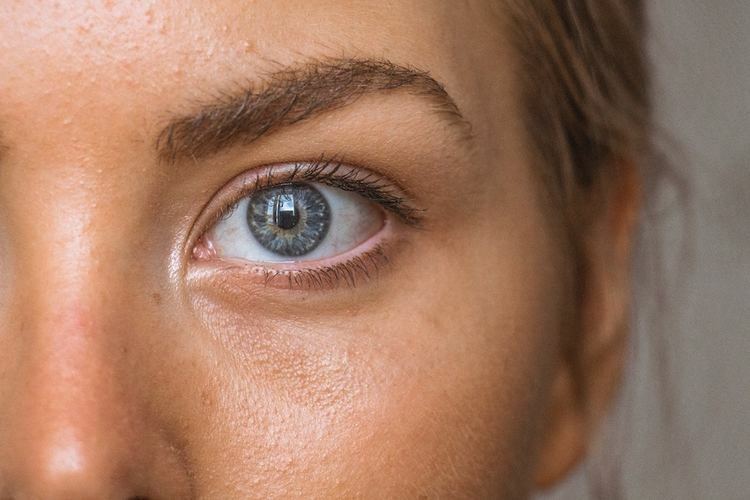 The best cleansers for oily skin are active (i.e. contain medicated ingredients) yet still on the mild in their effect on the skin. The best active ingredients to help balance oil production in cleansers are BHAs (Beta-hydroxy Acids), which are lipophilic (i.e. fat lovers). Therefore, BHAs like salicylic acid (the queen-bee of BHAs) can penetrate the oil gland more easily to remove excess oil and other pore-clogging debris. Micronized forms of salicylic acid are even more effective and less irritation, especially when combined with AHAs (like glycolic acid) and other anti-inflammatory ingredients. To find the right cleanser for your skin, take the free MDacne skin analysis. While it may seem intuitive to simply wash your face more if it is oily, over-washing (more than 2-3 times per day) can actually have the opposite effect! Your skin uses a process called biofeedback to balance the oil production of your skin. Over cleansing, using too harsh of a facial cleanser, alcoholic toner, or an electric cleansing brush can over irritate the skin and stimulate more sebum production. 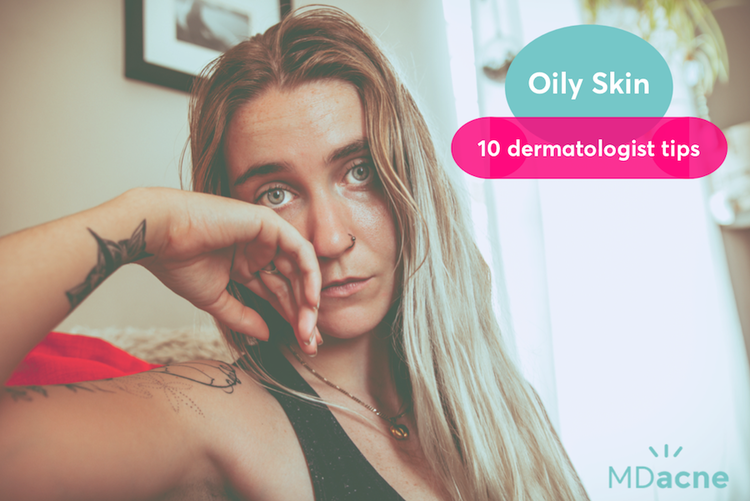 This excess oil then gets trapped under the already clogged pores and runs the risk of triggering more acne breakouts. Therefore, for people with oily skin, washing the face twice a day is usually optimal. That being said, it is super important to cleanse the skin after sweating. Therefore, if you exercise midday or work in a hot, sweaty environment, you can cleanse a third time. An alternative is to use an oil-free face wipe to tie you over between washes. Pro tip: when cleansing your face with your face wash, make sure you're using warm water. Water that is too hot or too cold can further irritate the skin. Contrary to popular belief (and perhaps common sense), moisturizers are essential for people with oily skin—especially when using active anti-acne skin care products. To reduce the excessive oil production of your skin, you want to "trick" your skin into thinking that it has as much oil as it needs and therefore, does not need to produce more. as got a beautiful “coat.” A light, oil-free (non-comedogenic) moisturizer will do the trick without clogging your pores and causing more oiliness. Toners: Toners are alcohol-based liquids that are meant to dissolve and strip the dirt and oil off the upper layer of your skin. Unfortunately, toners also damage the protective layer of the skin making it more acne prone and sensitive. Current thinking, influenced by the Korean skincare, has concluded that alcohol-based toners should not be part of ongoing skin care. To remove makeup, it's better to use oil-free makeup remover wipes followed by a mild cleanser to remove debris dirt and oil and light oil-free moisturizer to renew the skin's protective layer. Electric Spin Brushes: While these brushes are super popular online and tout the ability to help achieve a really deep clean, they are often too harsh on the skin. Stick to cleansing your skin with (clean) hands. You can also use a soft, microfiber towel to help remove makeup without irritation. While there is still much research to be done on the connection between diet and skin, studies (and lots of personal anecdotes) have shown that certain foods can increase the size of the oil glands (i.e. enlarged pores) stimulate the production of sebum (skin oil). The main food types in this category are dairy (especially cow's milk) and refined carbohydrates. These types of food trigger the production of insulin-like growth factor-1 that attaches to the receptors within your oil glands so they produce more oil. A good skin oil reducing diet should include meat, fish, vegetables, eggs and unrefined carbohydrates and should not involve refined carbohydrates (pasta, white bread), sweets and extra salty fast and instant foods. Click here to read more on the best diet for acne-prone skin. One of the leading causes of acne is the oversensitivity of the sebaceous gland to androgens (male pattern hormones). Certain types of birth control pills have been shown to help balance these hormones and ultimately, reduce skin oiliness and acne breakouts. While not for everyone (including males! ), birth control pills can be a good option to consider if you have a difficult time getting your oil production in check. For this, you’ll need to talk to your physical or OB-GYN, but first, read up on the best birth control pills for acne here. Spironolactone is a prescription medication that helps counteract the effects of the androgenic hormone in females and also reduces skin oiliness without changing the hormones. It is considered one of the best medications to help treat adult and cystic acne as well. Talk to your dermatologist to see if Spironolactone is a good option for you. Using SPF is a non-negotiable in skincare but can be extra tricky with oily, acne-prone skin. 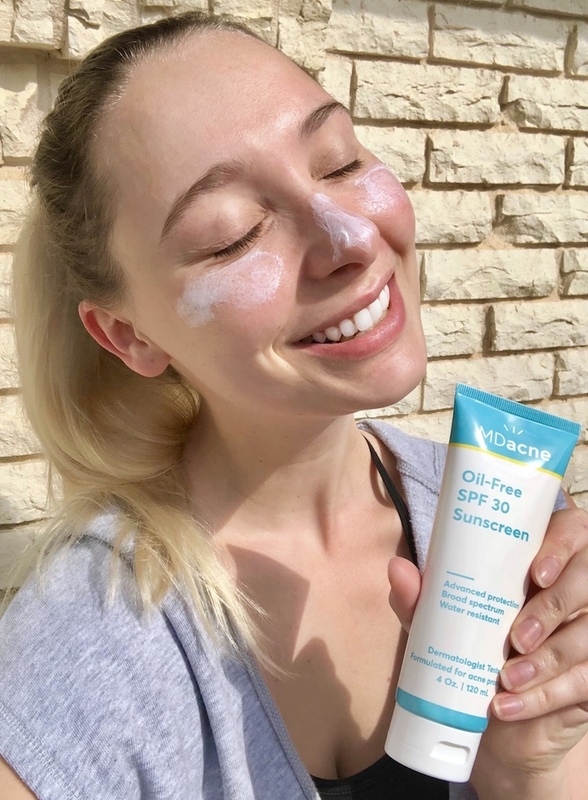 Make sure you chose an oil-free sunscreen (ideally SPF 30), which will protect your skin without adding the skin oiliness or breakouts.